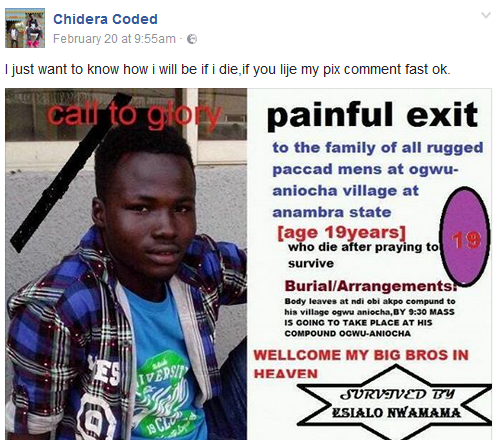 The young man above, named Chidera Coded, took to Facebook to share an obituary of himself, leaving many in shock. According to Chidera, his reason is to know what he would look like when he dies. He shared the obituary above online and asked his friends to comment on his picture.